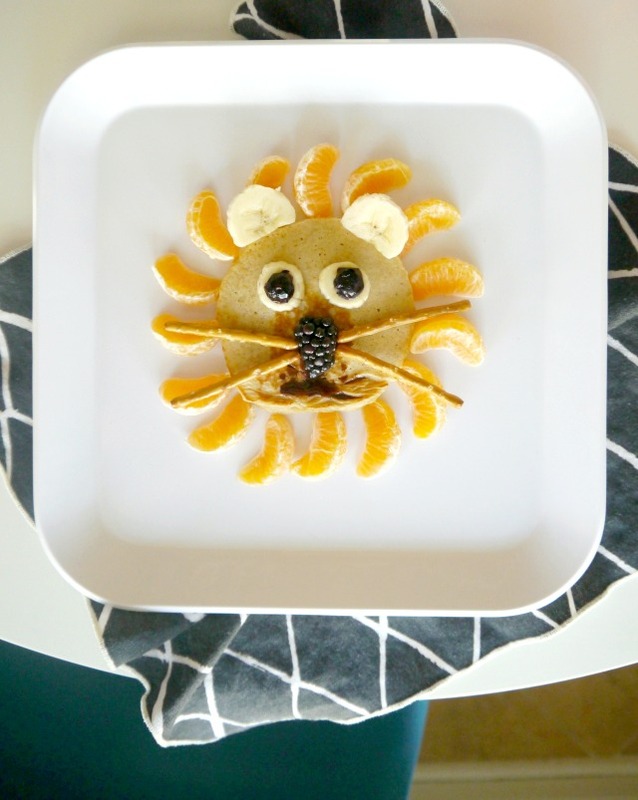 Making Breakfast Fun With Lion Pancakes - C.R.A.F.T. Note: This post is sponsored by Wonderful Halos. I don’t know about y’all, but breakfast is always a big hit in our house. Maybe it’s because my kids don’t always finish their dinners, and they’re staving in the morning? Either way, breakfast is such a hit that I’ve implemented breakfast for dinner one night a week. 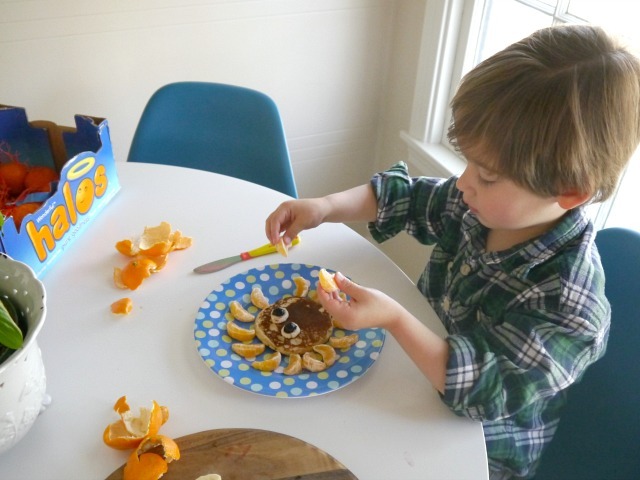 So, instead of dumping syrup all over the pancakes, we cover it with fruit and peanut butter and… make cute creatures. It’s a win-win. 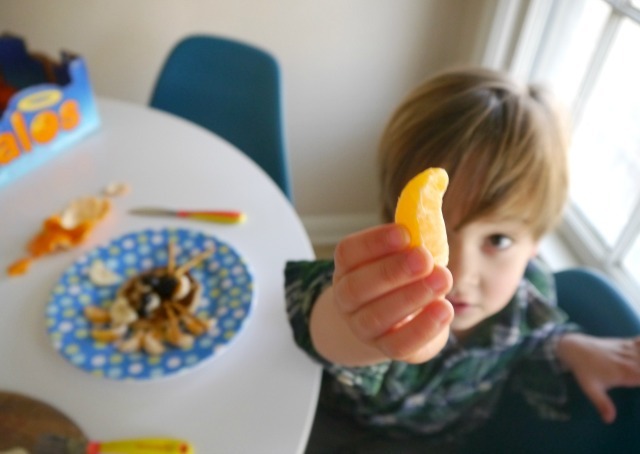 If you’re a parent, you likely already love Wonderful Halos mandarins. They’re healthy, easy to peel, and make the best on the go snacks for kids (and parents)! 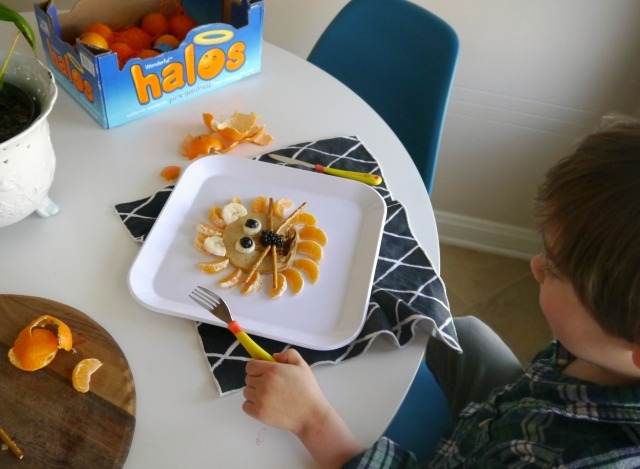 I teamed up with Wonderful Halos to share creative ways to eat and craft with mandarins. We eat mandarins outside on the regular after we made our picnic table center stage in front of a giant DIY chalkboard. For the holidays, I made pomander balls that smelled and looked amazing on our mantle, and lion pancakes are another fun way to encourage creativity and healthy eating at the same time. It’s fair to note that there is no right or wrong way to make a lion pancake. Honestly, I love when my kids get extra creative with the supplies in front of them and make whatever wild creature they can imagine. But back to lion pancakes, peel the mandarins and place them around the pancake all facing the same way. For the ears, I cut the bottom sliver off of the banana slice to make it fit nicely on the circular pancake. 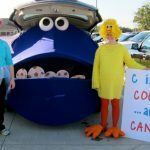 The eyes are a banana slice with a blueberry on top. We used peanut butter to “glue” the bananas to the pancake. Again, not necessary, but adds a little more protein to the meal. The lions nose is a blackberry cut in half to make it flat on one side. Again the blackberry is “glued” with peanut butter to the pancake. 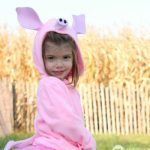 Add pretzel whiskers and a chocolate syrup mouth if you’d like! 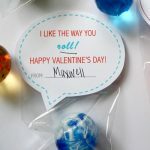 Crafting with food ensures that my kids will eat their food. 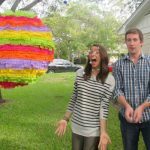 Best part? It’s healthy and they’re using their imaginations! 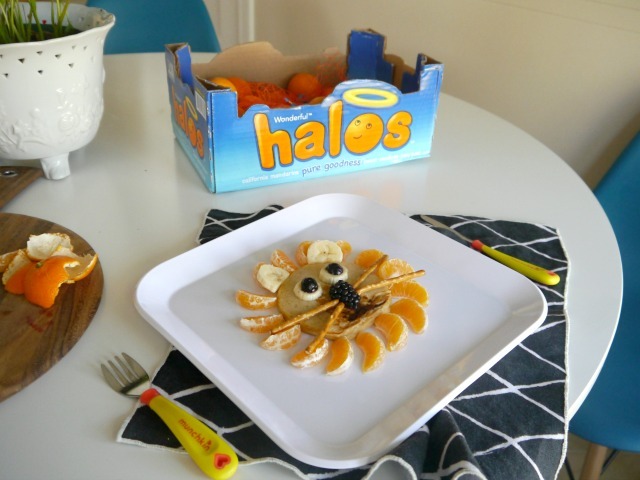 Wonderful Halos mandarins are perfect for meal time and crafting! Grab the 5lb box at the grocery store and snack healthy all day.